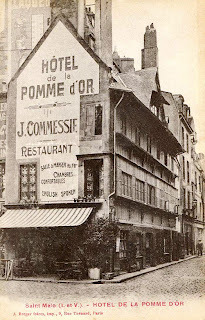 Rue des Cordiers owes its name to the presence of ropemakers who once had their businesses along this street near the port. There were still ten or so of them in this street in 1701, which was also called the Rue des Porches, which are also no longer there. Before the construction of the Courtine de Chartres as part of the third expansion of the town (1721-1723), this street had the old town wall running along its length. This street has retained several old edifices at Nos. 2 (1600), 4, 6 and 8 (1781). At No. 10, the halle au blé (covered wheat market) was built in 1892 by the town architect Auguste Bénard. Its construction enabled a southward expansion of the old covered market, which dated from 1822, and from which it adopted the same style along its sides. The pediments are decorated with the town’s coat of arms. 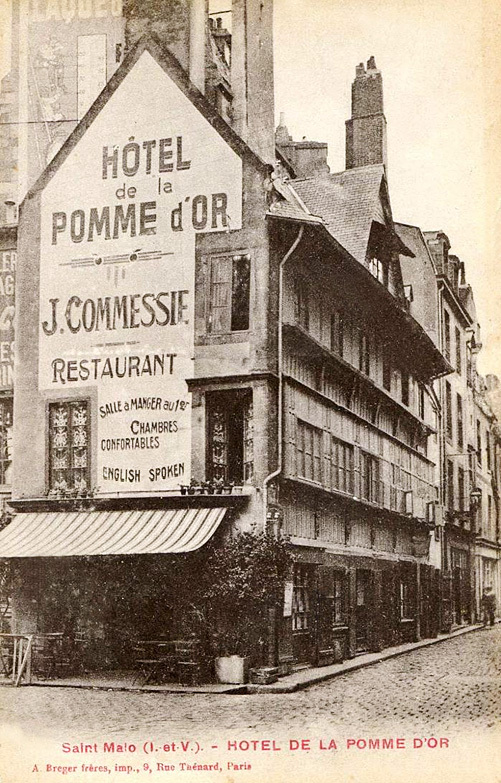 On the south side of the covered market, the Hôtel de l’Abbaye Saint-Jean used to be located. The Abbaye Saint-Jean was not a monastery but rather a charitable brotherhood of laymen who practised mutual aid. It was founded in the 13th century. Its head office, which was located in this street, was used for a long time as the town hall, a naval college, a consulate, and as a warehouse. Its articles of association and its level of importance was similar to the powerful trade associations in the Hanseatic port towns of the North Sea and the Baltic.